Bioperine, a patented extract from black pepper fruit, improves the gastrointestinal absorption and systemic utilization of nutrients. 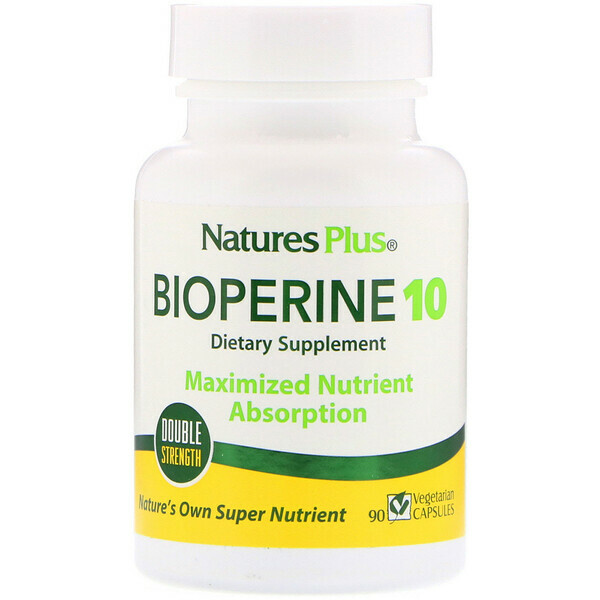 Clinical studies performed on various nutrients, such as curcumin, resveratrol, CoQ10 and beta carotene, show Bioperine's bioavailability benefits. Optimizing nutrient delivery goes a long way in enhancing the dosage efficiency and health benefits obtained from your formulation! Enjoy maximized nutrient absorption with Nature's Plus double-strength Bioperine 10! 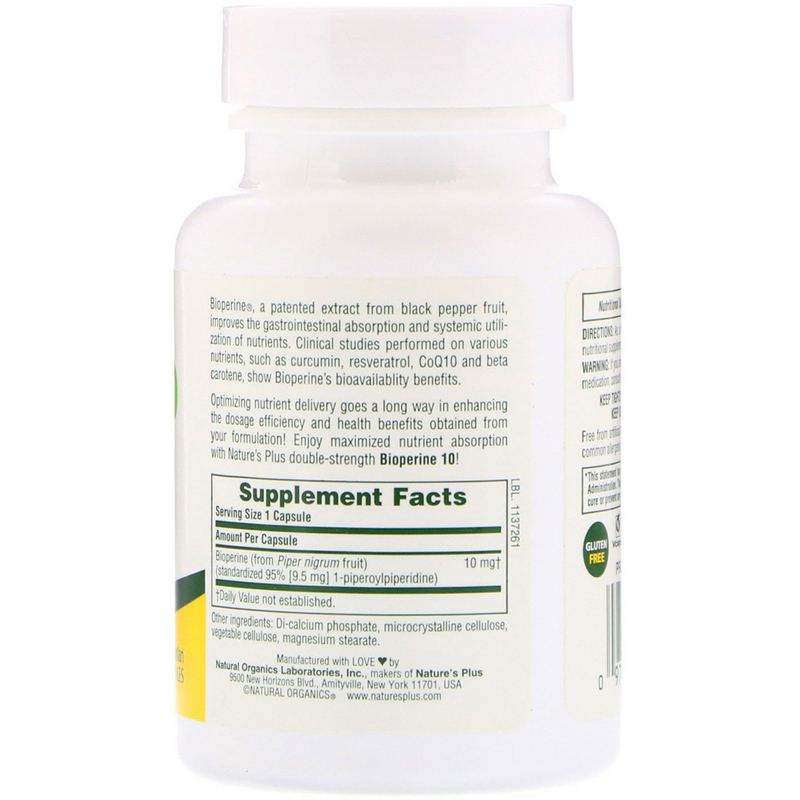 As a dietary supplement, take one capsule with nutritional supplements, herbs or healthy foods. Di-calcium phosphate, microcrystalline cellulose, vegetable cellulose, magnesium stearate. If you are pregnant, nursing, or currently using any medication, consult your health care professional before using.